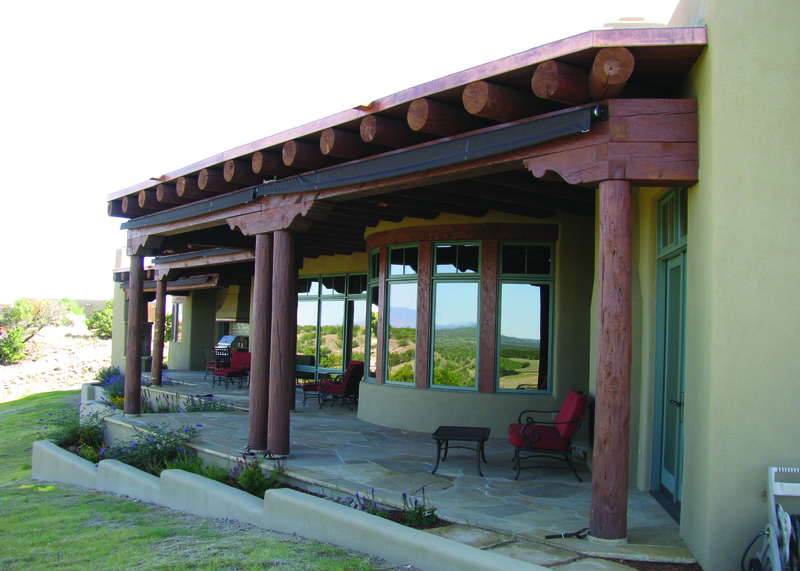 Green building is extremely popular throughout the southwestern United States and leading the charge is Santa Fe, New Mexico. 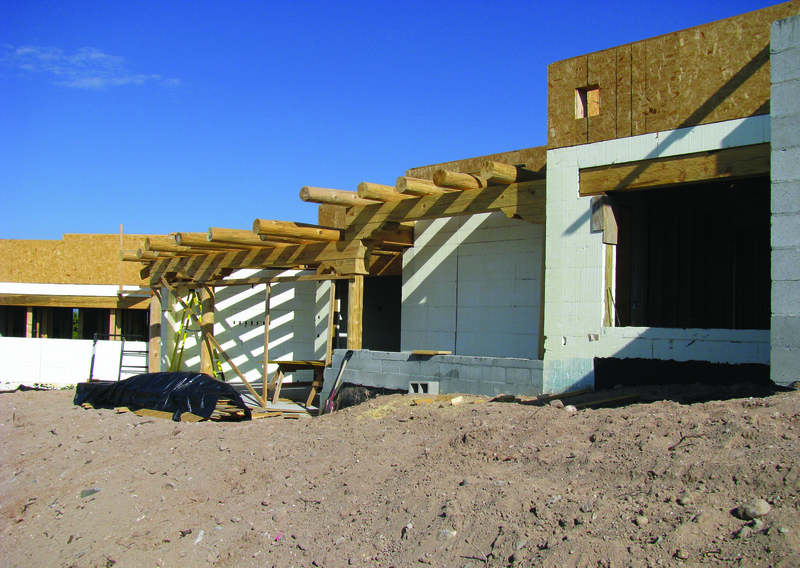 The Maffie project is another testimony of the growing ICF industry in New Mexico. The homeowner was not familiar with ICFs however after being presented with all of the benefits, they made the decision to proceed. The homeowner was very happy with the end result and is especially pleased by the overall feel that ICFs brought to the home. The exceptional insulation value and quietness of the home are daily reminders of the technology behind the walls. 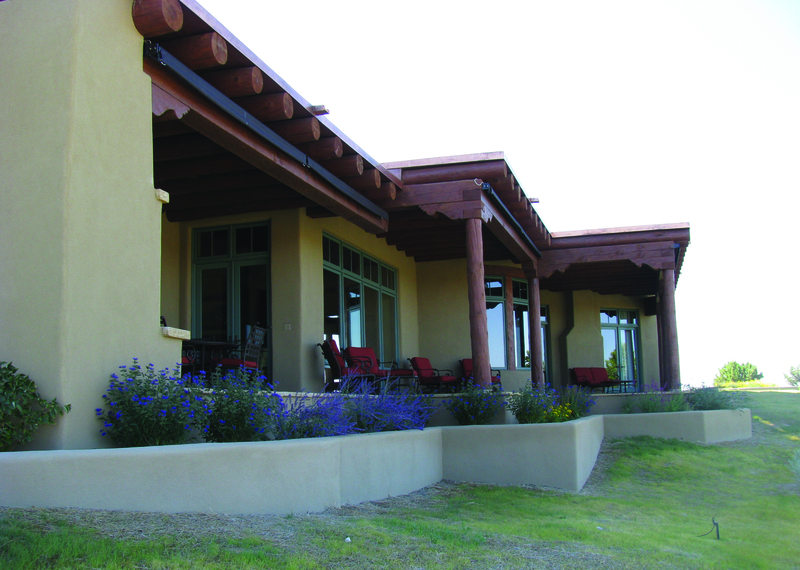 This project uses ICF construction as traditional Pueblo or Santa Fe style homes do taking advantage of the thermal mass to control the indoor temperature. 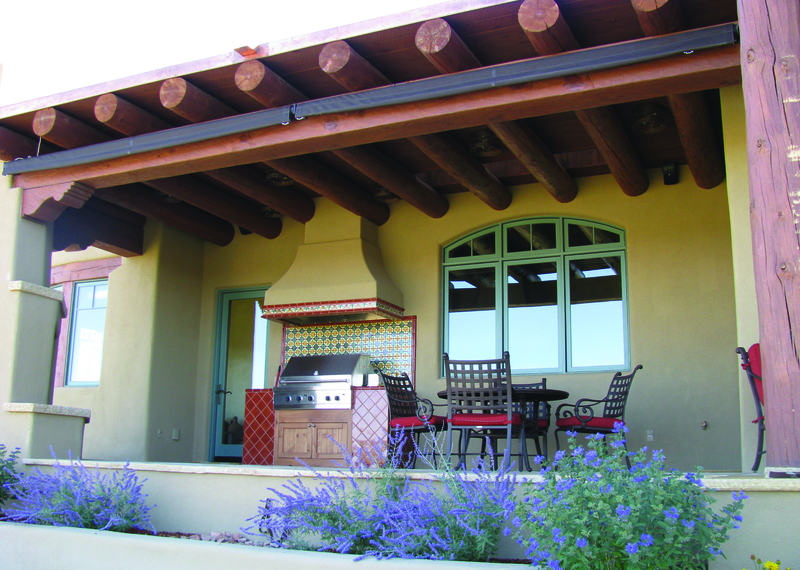 Santa Fe New Mexico is one of the leading cities for green building initiatives. 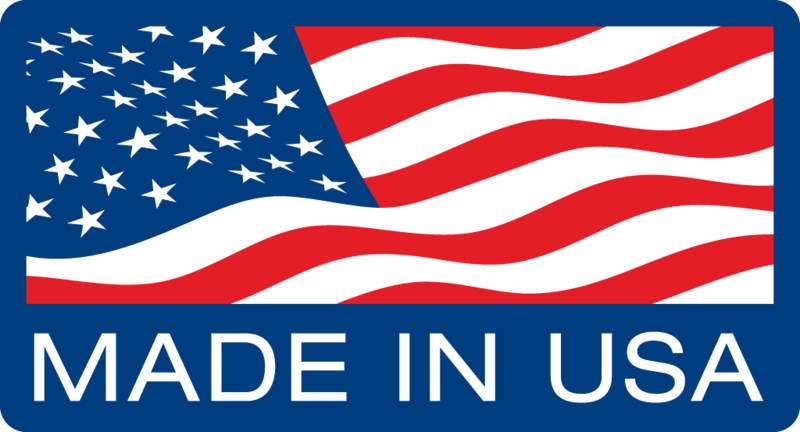 State contractors and builders focus on products like ICFs, Energy Star appliances, and green building practices. High efficiency windows and doors were used to finish the thermal envelope. The design team worked closely with the homeowner to capitalize on the benefits of using ICFs coupled together with a Radiant Heating System to improve the indoor environmental quality and to capture the benefits of increased R-Value. 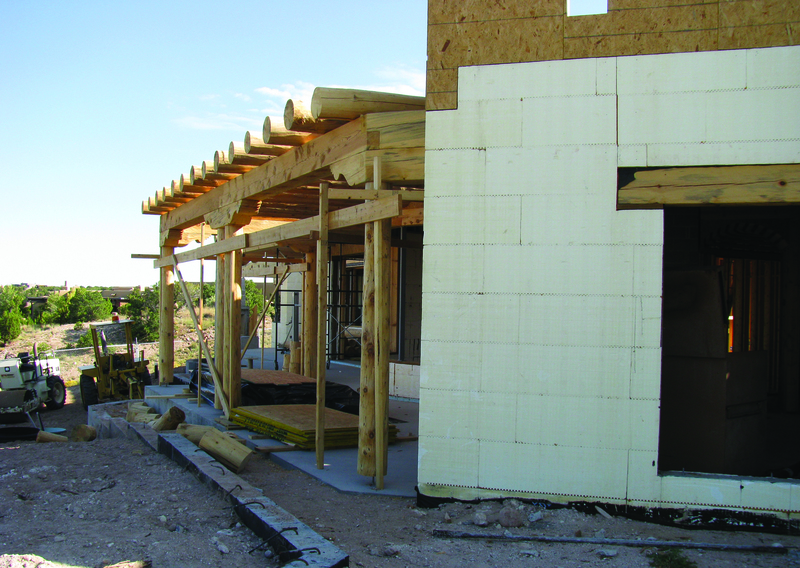 ICFs lent themselves nicely to the Santa Fe style facade. The heavier walls also made attachment and support of large timbers much easier to deal with. 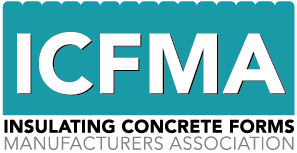 ICF made easy construction of radius walls. 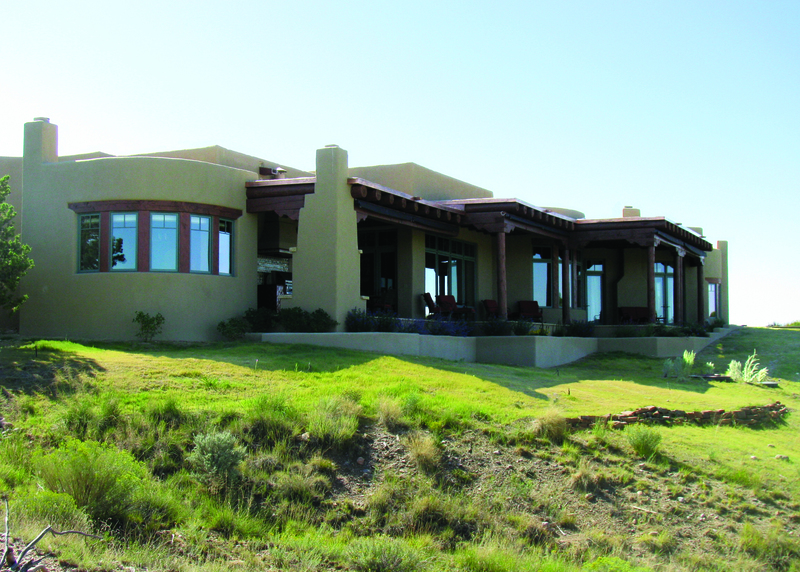 The construction and energy benefits essentially excluded any other system from being viable.Interior walls were plastered and the exterior is stucco. 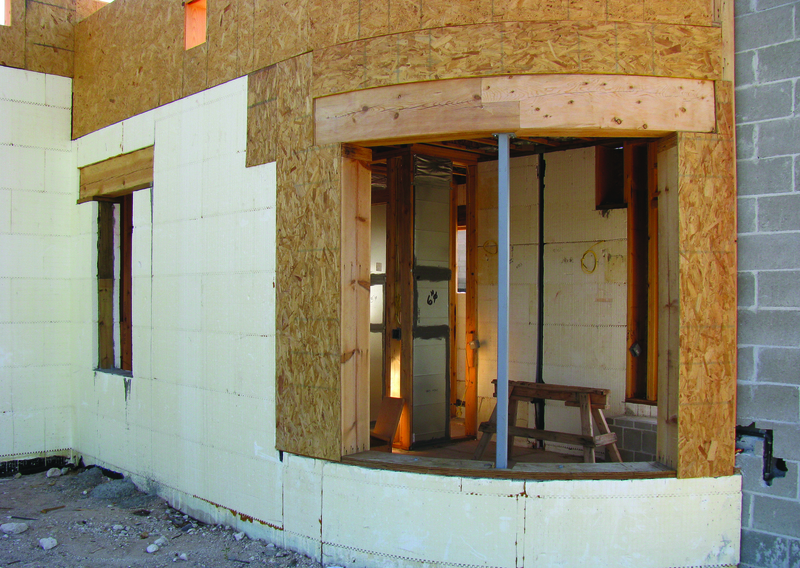 The ICF walls did slightly increase the budget, but the homeowner embraced the long term benefits of using ICFs. 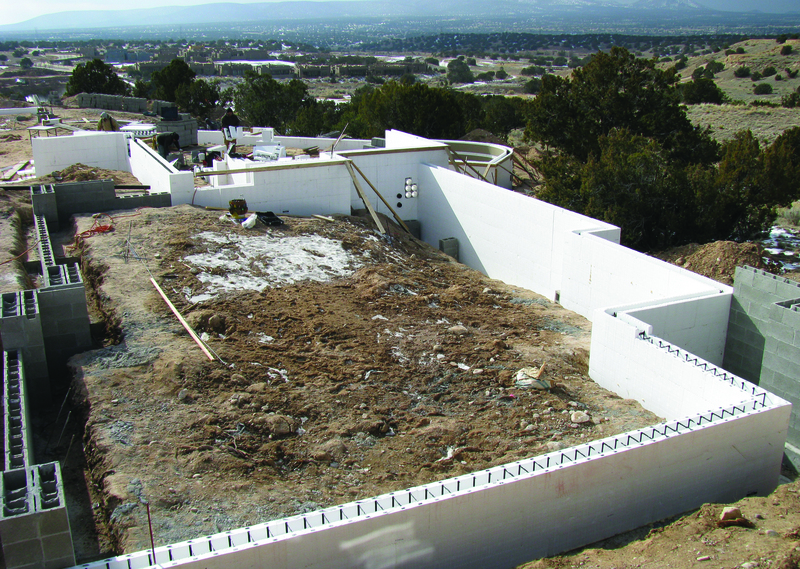 The builders appreciated the ease associated with constructing ICF walls. The project started in early December , but by the time they were ready for stem walls it was mid January with a temperature range from below 0 to 35 degrees for the highs. Thanks to the use of ICFs we were able to continue working with a minimal amount of time lost due to the weather.During the construction process the ICF walls were continuously inspected to ensure the integrity of the seams and that they were up to code. Every time a project like this is built workers, neighbors, friends, and realtors generate a lots of interest.